As a family-run business, the team here at Caldme has a wealth of experience in the marine construction fields. With high levels of knowledge in waterborne and building works, we’re the right fit for your next project. We’ve been working with government agencies and large businesses throughout Australia since 1980. After seeing our company grow from strength-to-strength over the last few decades, we continue to hire experts and replenish our machinery so that you can experience the benefits. Working with customers throughout Cairns, Sydney, Brisbane, and beyond, we strive to make your marine construction efforts easier. Our dredging equipment features sturdy booms, dependable hydraulics, and propellers that can dry between construction sessions. As a result, they’re ideal for onsite work even in the most challenging of conditions. With a longstanding history of tackling tricky areas that many construction specialists choose to shy away from, we’re a small, robust community that features the determination you need to see your project succeed. Over time, both human-made and natural beaches can lose their sand through longshore drifts and erosion. We can use the latest beach replenishment techniques to restore them to their former beauty. Our excavators and pipes move sand back into the right position, allowing for nourishment that benefits the local environment, as well as enhancing its aesthetics. If you want to build around wetlands, pile driving makes it easier for you to do so. By using a pile driver that bores into the soil safely, we can create supportive structures for your next construction effort. Although nature does an excellent job of maintaining water-logged areas, sometimes it needs a helping hand. Our dredging processes can eliminate weeds and waste, giving rivers, lakes, and marine areas an opportunity to thrive. As a diverse area, marine construction requires close attention to detail and intricate levels of effort. Whether you need someone to develop a docking facility or reconstruct seawalls following damage, we’re here to help. By expertly operating machines such as spider excavators, we can replenish areas or create structures that serve the local population. Do you know which maritime construction machine you need? Or maybe you’re relying on an expert to help? 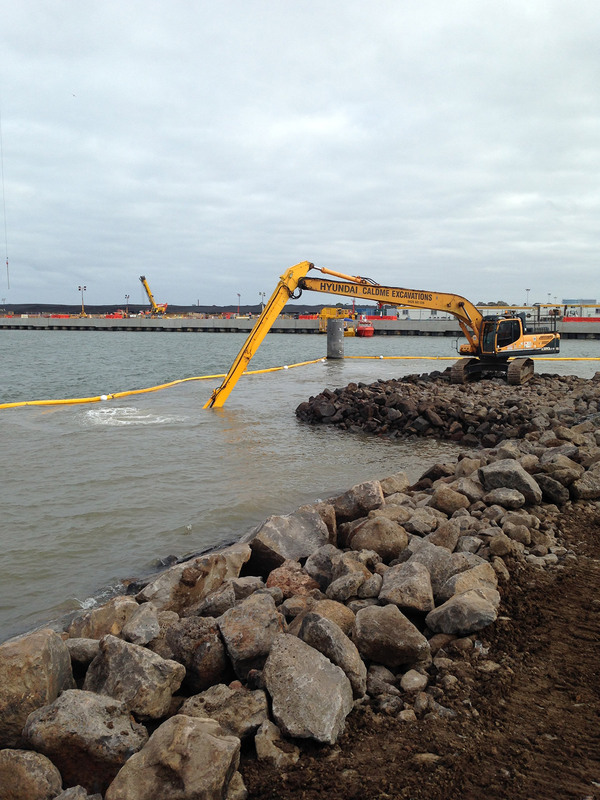 Whatever your situation, we have a diverse range of equipment for your dredging and marine construction projects. 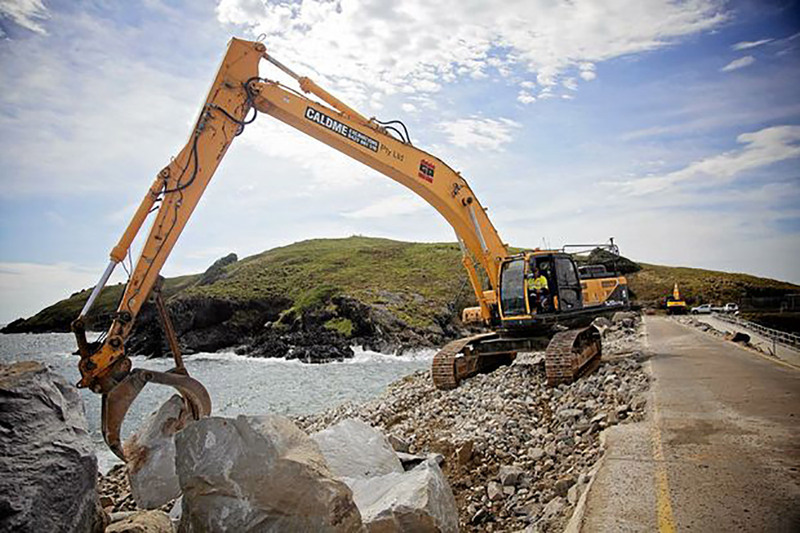 From smaller machines that can navigate awkward banks to larger ones for creating marine bays, we have something for every plan. Serving Sydney, Brisbane, Port Macquarie, Mackay, Cairns, Melbourne, and Central Coast, our team of professionals reach into Australia’s marine areas to enhance them. No project is beyond our reach, and we’re not afraid to venture to challenging areas. We’re confident that we’re the right fit for you, so get in touch! We want to hear more about your project. From there, we’ll guide you towards the right rental machine.